A Minocqua woman is hospitalized with gunshot wounds after a possible domestic violence incident. 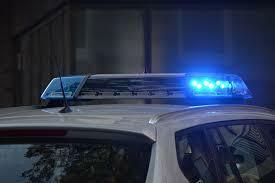 Minocqua Police report they were called Wednesday evening to a residence on Old Highway 70 shortly after 7:00 p.m. When officers arrived they found an injured woman who was taken to Howard Young Medical Center, then later transferred to a Wausau hospital where she remains. The incident resulting in gunshot injuries was referred to as a domestic situation. Chief of Police David Jaeger reports they feel there isn't a danger to the general public at this time. They're asking the public's help to come forward with any information about the incident. If you have information, contact Minocqua Police at 715-356-3234.